See the newest Hounsfield Heights/Briar Hill homes for sale in Calgary! Historic Briar Hill was developed in the early 1950s. 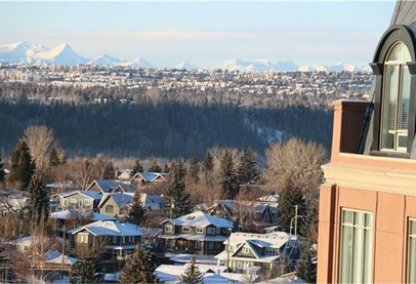 Residents enjoy stunning views of the Rockies to the west and downtown Calgary to the south. Discover just listed Hounsfield Heights/Briar Hill homes & condos for sale now! Schedule a private condo or home tour with your Hounsfield Heights/Briar Hill Calgary real estate agents today. 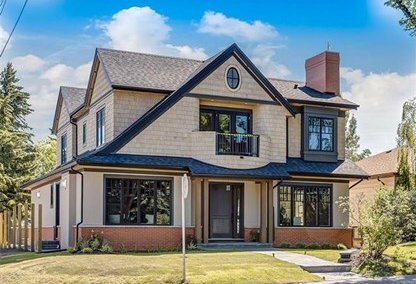 Hounsfield Heights/Briar Hill housing market statistics: As of April 25, 2019 there are currently 27 properties for sale in Hounsfield Heights/Briar Hill listed as active, with an average asking price of $1,043,050. The highest-priced property is $2,795,000; the lowest priced property can be purchased for $170,000. Hounsfield Heights/Briar Hill neighbourhood listings have an average price of $584 per square foot, based on listings with 3.4 bedrooms, 2.9 baths, and 1,722 square feet of living space. Thinking of selling or buying a home in Hounsfield Heights/Briar Hill Calgary? Call Justin Havre at RE/MAX First - 403.217.0003. Our community of Hounsfield Heights/Briar Hill real estate agents will help you navigate the Hounsfield Heights/Briar Hill housing market in Calgary. 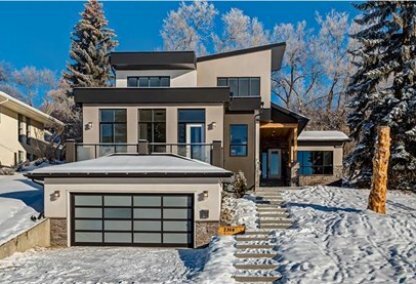 Briar Hill offers peaceful tree-lined streets, gorgeous views, and charming homes in a picturesque community built upon an escarpment close to downtown Calgary. Real estate includes single-family detached houses, sprinkled with semi-detached houses, townhomes, and high-rise condominiums near the University of Calgary. Briar Hill has a rich history, once part of the Riley family homestead, which encompassed St. Andrew's, University Heights, and Hillhurst. Thomas Riley and his wife Georgina raised three children on their property beginning in 1888. Briar Hill shares a community association with the Hounsfield Heights neighbourhood. The Hounsfield Heights-Briar Hill Community Association is located in a brand new neighbourhood centre with state-of-the-art space shared with the local fire and police departments. It has a gymnasium for martial arts, basketball, and soccer. There are plans for an eventual expansion of the property which will include offices, youth activity space and a common area. Home owners have access to the Louise Riley Library. The nearby North Hill Shopping Centre offers over one hundred shops, services, and restaurants. Part of the appeal of Briar Hill homes for sale is how close they are to SAIT and ACAD. Other popular areas nearby include Foothills Athletic Park and Jubilee. Briar Hill real estate is bordered by 16 Avenue N/TransCanada Highway (North); 7th/8th Aves (South); 14th St (East); and Juniper Road/22 Street (West). LRT service can be picked up at Lions Park Station. Schools in the community include elementary schools Briar Hill (Public) St. Joseph (Private), and St. Pius (French) (Private). Junior high schools include Queen Elizabeth, St. Joseph (Private), and Madeleine d'Houet (Private). High schools include Queen Elizabeth, St. Francis (French) (Private), and St. Mary's (Private). Planning to buy or sell a home in Hounsfield Heights/Briar Hill Calgary? Let our real estate team guide you in your search for the perfect home and professionally facilitate the sale of your existing home. As Hounsfield Heights/Briar Hill neighbourhood real estate agents, we know how to navigate the Hounsfield Heights/Briar Hill real estate market. Let's get your home sold quickly and at the highest price! Contact Justin Havre at RE/MAX First - 403.217.0003 to find out more about buyer or seller representation. Thinking of selling your Hounsfield Heights/Briar Hill home? Check out our free property evaluation tool, where you can easily view Calgary Homes Values online in moments!